Marco Joachim is one of the new generation folk/pop/rock singers. Often referred to as the "NY troubadour," he developed quite a cult status. 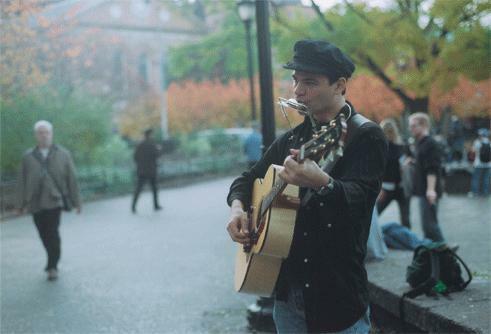 From the cobblestone streets and the coffee house music circuit based in Greenwich Village, he interjected rock and pop elements to acoustic folk, drawing new listeners to clubs in the Village. He writes original songs and is well-versed in traditional folk songs and blues. he is from NYC and plays solo acoustic guitar (Gibson J-100, last of the flat tops) with his trusty harmonica. His influences are folk and blues, as well as Woody Guthrie, Ramblin’ Jack Elliot, The Beatles and Bob Dylan, as well as most 60s groups. His dynamic finger picking and strumming, and wide range as a singer, make his shows a special experience. His irreverent humor and sometimes-sardonic wit is often heard between songs. He comes from a musical family. His cousins are Jack Elliot (Grammy Award Winner) and Sonny James (20 consecutive #1 Country hits) the Country singer. He has been called "a natural" for his inherent musical ability, and as a folksinger his tuneful singing, ingratiating personality and showmanship have earned him a legion of fans. "A stunning collage of words, music, background noises, orchestral effects, dream sequences, social observations, and tuneful melodies, blended together into a catchy pop CD." 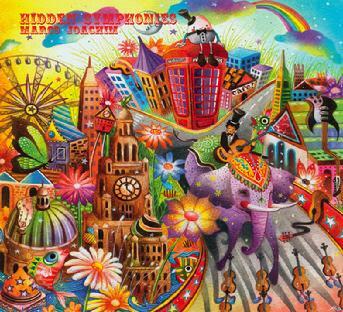 NY-based Marco Joachim and collaborator Jon Gordon have created an epic album of Beatles-based sunshine pop that succeeds as a major achievement in its own right. “And When the World…” opens with plangent Beatles chords and Joachim’s warm vocal wrapping itself around the lyric. Jon Gordon who does all the solo guitar work is a synthesis of Harrison and Lennon. Violin and cello kick off “Things You Do” which reworks the message of “The Love You Make” into an admonition The song has a McCartney/Wings bounce with Gordon adding poignant, arcing guitar that ends with a proper Beatle chord. “Cellophane Sue” is obviously inspired by “Polythene Pam” but “Sue” is bluesier with swaggering horns and ELO chords– it could have come off A New World Record. “Penny Lane” horns cascade behind the chorus, then fall back into step behind Gordon’s piercing guitar solo. “Nameless” is chamber rock played by violin and cello with a telepathic vibe that yields lines of heart-tugging beauty, no more so than when the cello dives and the violin soars in anticipation of the bridge. “Those Days” harks back to Revolver/Barry & the Remains era Brit pop with a melting garage rock chorus. “Gramercy Park” is an ambitious pop suite and the centerpiece of the album beginning with a mini orchestral tune-up that fades behind Joachim singing in a McCartney-esque voice and playing piano. Gradually he layers in harmonies and Harry Nilsson gives way to pure McCartney in the piercing guitar and orchestral chorus. Sound effects, country barkers abruptly fall into a driving juke-joint beat as Joachim sings, “The last time I saw her she was standing in the silver sun.” There are so many Beatlesque elements in this piece it reveals new insights with every listen. The album art by May Ann Licudine perfectly illustrates the music inside. Go on the internet and take a look (www.marcojoachim.com.) Reminds me of Jellyfish: Spilt Milk. And not just the graphics. A sure bet for Top Ten. It's something magical to hear Marco Joachim's latest album. His last album "Changing Times" he revisited Dylan era folk with mostly acoustic arrangements. 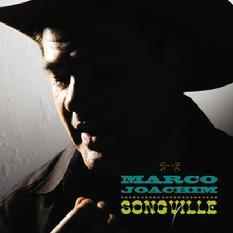 This time around Marco goes in a new direction with a very musical and whimsical album.Ear candy abounds from "Songville" with banjos and fiddles, slide and acoustic guitars. It's a return to "The Travelling Wilburys" style of music. From the upbeat opening track mandolin riff to "There" you know you are in for a something special. The catchy and romantic and country fried "Through A Window", flows melodically along as Marco's observances on a train are like a singing novel, and then the rocking "Go Ahead" with "McCartney" style vocals and electric keyboards. The symphonic Beatlesque "Dream Away" with "Strawberry Fields Forever" melotron flutes has been used tastefully. There's also the classic guitar solo on this beautiful melodic song.Marco returns to an acoustic song about world disorder as the will to move on and grow through all the madness. Hope manifests itself in the form of "The Cuckoo" not to be confused with the old folk song. "Humpty Dumpty" is an Armageddon political rock out, and then the catchy "A love like This" which evokes the White Album's lighter side.